Will he be as funny as he is on stage? 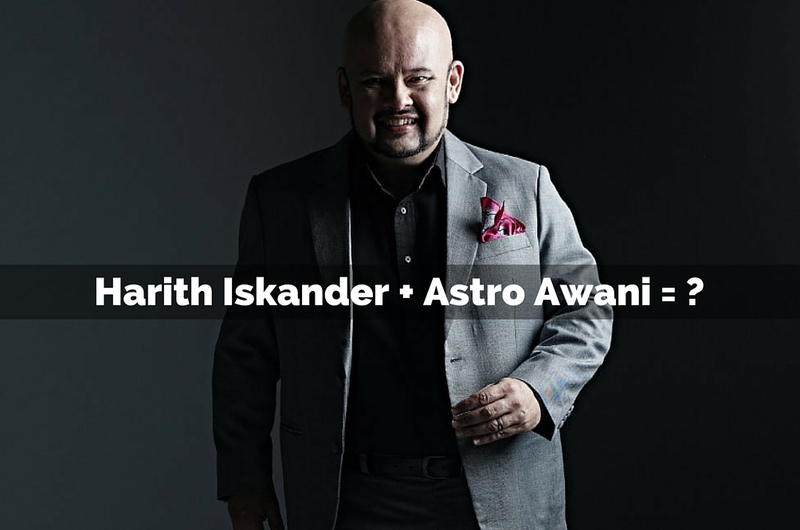 Harith Iskander is a household name when it comes to stand up comedy, so news about him joining forces with Astro Awani for a talk show has gotten his fans excited. 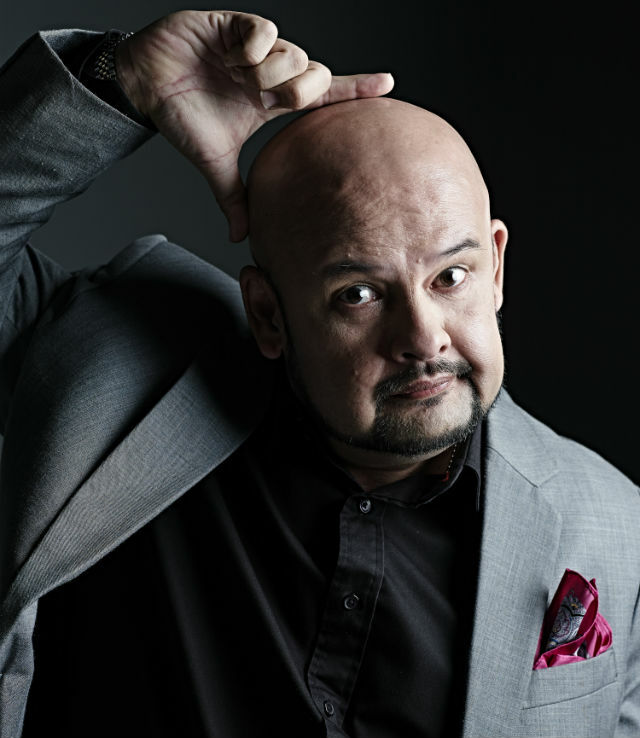 The show, Obviously Harith Iskander, is inspired by American talk shows hosted by Jimmy Fallon and John Oliver and so forth. So, you can expect topical monologues, comedy sketches, celebrity interviews and musical performances by new and current singers. During the show's press launch, Rojak Daily got an exclusive interview with the comedian (who also slid in a joke about censorship by saying "If you don't see me after two or three weeks…"). Besides talking about his new TV venture, we also found out about a video online that made him cry. RD: There are many talk shows right now. How are you going to put a spin on this and make it different? HI: There may be a lot of talk shows but, correct me if I'm wrong, I don't think there are talk shows which are actually live. [This means that] the topics discussed, jokes and segments would be current. Something could happen in the morning and we would talk about it in the evening. A lot of talk shows are pre-recorded. This is live. I've been a stand up comedian for 25 years, but anyone who follows me on Facebook and Twitter would know that I have [my own] opinions. That was also why Astro Awani Awani looked at me and chose me as a host. [As for] the guests lined up, I'm calling people I know; for people I don't, Astro Awani would help me to get in touch with them. Yes, there will be silly moments, silly games, but at the end of the day, we want to delve a bit deeper into general figures such as Marina Mahathir, Tony Fernandes and Nazir Razak. That's what I think what will make the show different. RD: Who do you want to interview the most? RD: Have you had any awkward moments on stage? HI: As a stand up comedian, you live for awkward moments because in awkwardness comes humour. What is awkward for a stand up comedian may not be awkward to a regular presenter. For example, I performed at Zoo Negara but in between me and the audience was a pool of otters. Awkward. At one particular corporate dinner, the [people at the] main table, just as I started, all stood up and started shaking hands and chatting to each other. Awkward. Why choose that moment to stand up? So, yeah, plenty of awkward moments, but then they can become a funny story. RD: How do you test out your jokes? How do you know they’re funny? HI: You don’t until you do them on stage. I can try something with my wife or friends, but you won’t know until you’re on stage. Sometimes it’s funny one night and not funny the next because of the audience. The audience determines whether it’s funny. [With experience], you'll know better beforehand what can work. RD: We know you make us laugh but what makes you laugh? HI: My wife. Because she doesn’t laugh at the most obvious things. She will make her own joke and then laugh at it. The joke itself is not funny. Because she’s laughing, I’m laughing at her lah. But it’s like "Oh my god that was so not funny, what are you laughing at?" And she laughs when I trip and I fall (Note: This is where one of our RD Editors started laughing)—oh, you laugh too, huh. What is it with women? Our son would run and fall, and then she’d laugh. He'd be crying, and she'd pick him up and console him while laughing. Okay, not helping at all. RD: What's the latest Internet trend/video/meme that has made you laugh? HI: As a comedian I don’t look for things that make me laugh. I’m a bit sappy in that way, [preferring] touching messages. There was an article about a guy in a restaurant in Tennessee who saw a Down Syndrome employee in the kitchen. The guy lodged a complaint for whatever reason, and it turned out that the person was actually the owner of the restaurant. That’s a common thing we do when we judge someone based on their looks. In Malaysia it’s very, very prevalent. I also remember watching a video—one of these hidden camera things—where this young boy pretended to be a beggar and most people brushed him off. Another beggar came and shared his food with him. You can be cynical and go "Yeah, that was set up", but I prefer not to be. I cried. RD: What is a current issue that you’re passionate about? HI: It’s not an issue, but it’s something I’ll be tackling and talking about with my guests: common sense. It seeps through everything, from politics to religion. People, I believe, are not using common sense to make decisions. They jump on the bandwagon. [Someone says,] "Oh, this is jahat, this is bad" and everyone goes "This is bad!" too. Stop. Use common sense, ask a few questions, then make your decision. People who will come on the show have a healthy dose of common sense. 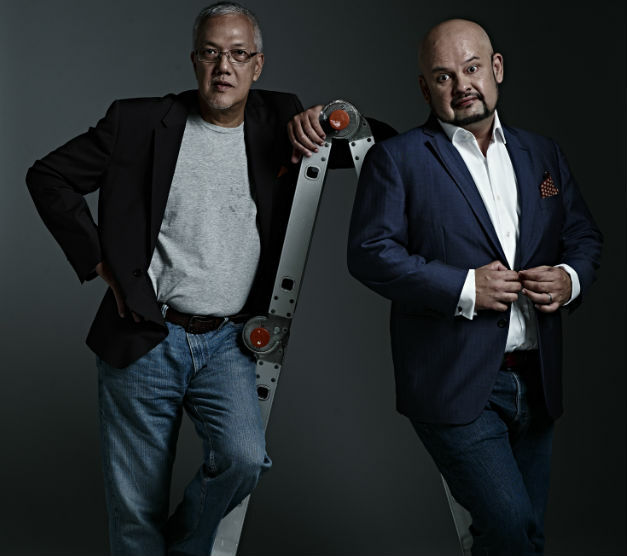 Obviously Harith Iskander will air on Astro Awani beginning May 28, Saturdays at 9.30pm. You can view web exclusive content on www.obviouslyharith.com. You can also follow @obviouslyharith on Facebook, Twitter, and Instagram.